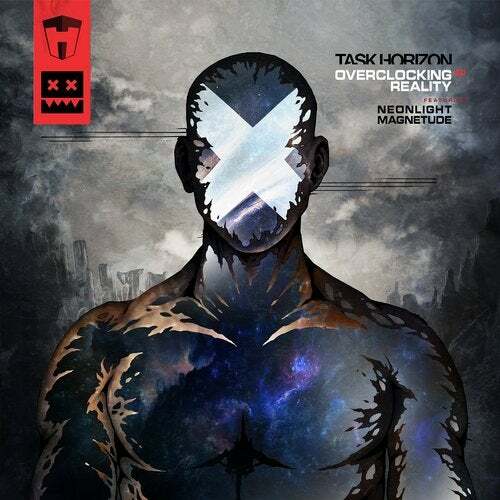 Task Horizon's hiatus was a mystery felt throughout the world of drum & bass; secluded within the mountains of Switzerland, their scrupulously engineered cuts once littered the sets artists across the genre's spectrum. And when they decided to close another chapter of their musical careers in 2014, their absence struck a chord. However, three years later the outfit returned already garnering support once again from tastemakers at BBC Radio 1. And for the New Year, they've delivered a five track EP of standalone tracks and collaborations for Eatbrain, a label who've taken dominion over the underground's most vital corners. The foursome are about to unleash their technically orchestrated 'Overclocking Reality' package onto the masses. Its title-track rolls out with a deceptive intro, one which begins to swell amongst rolling drums pads and ethereal synths. Up next comes a collaboration with German stalwarts Neonlight, delivering a melting pot of stellar musical aptitudes. 'Enigma Machine' is fast paced, unforgiving and oozes with menace, whilst featuring orchestral undertones that nod to the expert musicality of both production groups. Magnetude also jump on board for 'Immortality Protocol', another sci-fi inspired record pumping with extra terrestrial samples and metallic percussion. Next up, 'M-920 Cain' crashes forward with hollowed kicks and robotic vocal snippets, a dancefloor-lead anthem which is chaotic in its detonation. And finally, your aural synapses are snared by finishing track 'Flight Simulator'. Each electronically keyed note and rattling hi-hat leaves you mercilessly submerged, before the record breaks down into growling bass riddims and fluctuating distortion. Task Horizon has resurfaced and with the platform of a formidable imprint. Beside Eatbrain, they're marked to once again inject their vision into the DNA of drum & bass.